That’s to all of you who are thinking about going to New Zealand: Just do it! I can honestly say that I am honest. New Zealand is simply amazing. (Kiwis) down here and the different landscapes. I’ve never seen such stunning and amazing sceneries like in New Zealand. It is so various. You can have awesome views from the top of a mountain down into the valley or even if you are just watching the stars at night time it is not unlikely at all to see the most beautiful shooting stars you can see nowhere else in the world. New Zealand also offers a wide range of different lifestyles with bigger cities like. But you can also choose to do your exchange in smaller towns like Wanganui. That is where I have been living. It is a small town with approximately 48000 inhabitants and you have everything you need. Big grocery stores, a cinema, sporting facilities, a river and it is close dead he national park and of course the sea. The thing I enjoyed the most here in New Zealand was the big range of possibilities do all the sports I like. I was playing football and tennis here which are the sports I have already done in Germany but I also tried heaps of other sports like badminton, swimming, cross country running or even kayaking. I even won the school cross country of the school in my age group. Andi t wasn’t even hard to get into the different sports teams because all of the Kiwis are so kind and helpful that you always get a place somewhere. And of course I had great support from Verena and Matt. At school I really liked having subjects I am not able to take in Germany. In Germany most of the subjects are compulsory so don’t really get choice. But here you can take seven subjects out of an offer with probably around forty different kinds of subjects. I took Spanish and food ‚nutrition which I can’t take at my school in Germany but might be offered in other school. But of course there are subjects like drama and performing arts technology which are completely unknown in Germany and you are definitely not able to take. Once again I need to say that it the best decision ever to come here and I have never regret it. I also had a great support by YougoNZ, Verena, Matt and the whole family which I am really thankful for. I will definitely come back in the future. 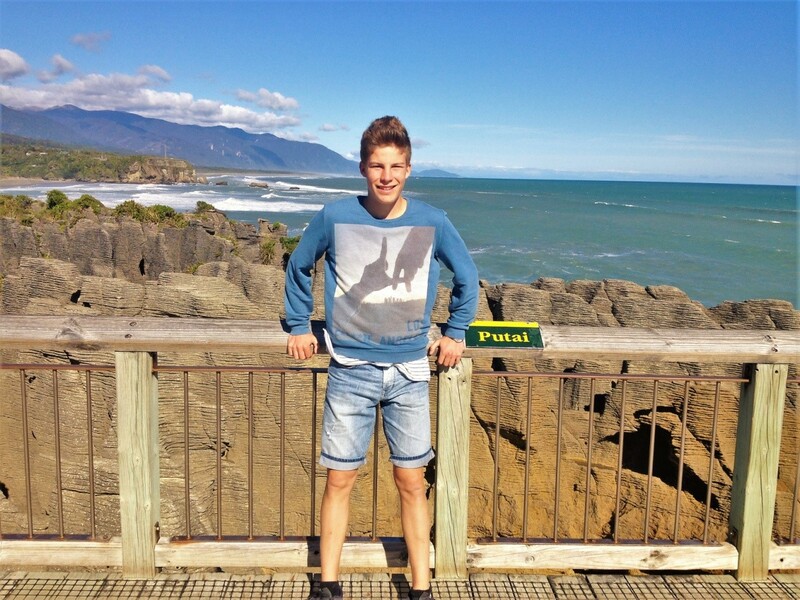 Hey my name is André Wecke, I am from Germany and I almost spent exactly one year in New Zealand. I came last year 2015 to check out New Zealand and learning English. At the beginning it was just planned for half a year, but after some time I decided to stay for a whole one. There were different reasons which affected my decision to stay. The most important one was my host-family, because we spent so much time together and now I feel like a part of there family and they are part of life after this whole exchange. Without a good stay I just would have said “Good Bye” and left. I had even the opportunity to do the Tongariro Crossing two times and I am not sorry for that. Then I have also been on the south island with my host-family. 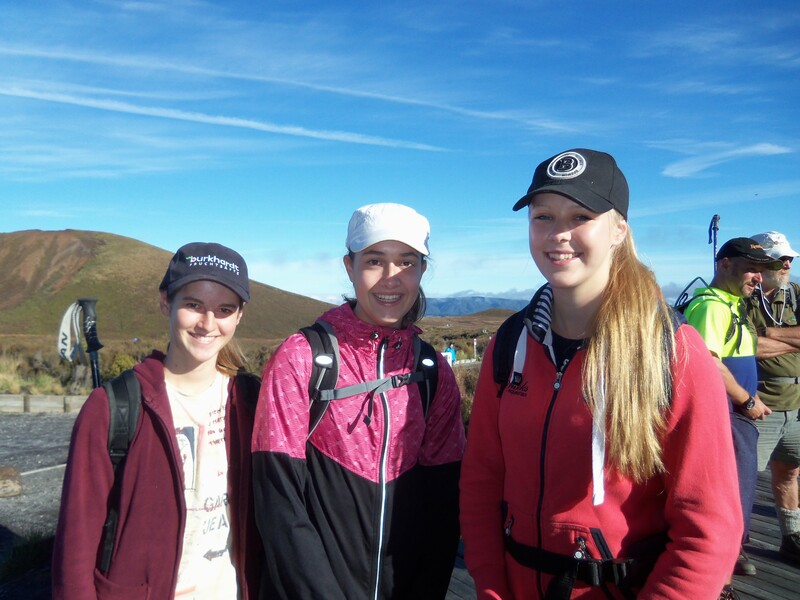 We all had a lot of fun together and another time we went to Mount Taranaki climbed on top. All these trips mean so much to me and that isn’t everything. That were just my highlights. Well, now is my exchange over and I go back to Germany. I guess there will miss the time here but the most my host-family and friends. Thank you all for the great time I could spend here! Hello my name is Alex and I’m from Stuttgart, which is a town in the south of Germany. I can’t believe that I’ve spent already 6 months in New Zealand and that I’m flying back to Germany in a few days. Actually I’ve got no idea where to start and what to say but I can say that my time in New Zealand was amazing and it was a pleasure get to know a new culture and a different life style. First of all it was a big change to live in a small town like Wanganui, to have no buses and trains, a school uniform and a different school system but it was also very great. I’ve been the half year at Wanganui High School and I enjoyed it. The first few weeks were pretty hard, because the whole school system is different than the German one. You’ve got only seven subjects, you can choose them(you can choose from over 35 subject), you’ve got a different timetable, you’ve got a different class in every subject and you can do many sports and other activities at school. But after one/two weeks I understood everything and if I had questions the Kiwis always helped me. And another change is that you’re living in a new family. I’ve got a lovely host family and I’m fitting in quite well. I’m doing a lot activities with them and it’s always fun. We went mountain biking, tramping and doing a many other stuff. I’ve got three host brothers but only one is living at home bur the others are coming at the weekends home and then it’s always fun. I’ve met so many nice people and found so many new friends. In the beginning it was a bit hard to find good friendships, because most of the Kiwis are doing sports after school and not doing anything with friends and then it was hard to get in better contact. But after a few months it was alright. It was also a pleasure coming here with YougoNZ. It is a pretty small organization but they’re a very lovely family! They’ve got a hostel IN Wanganui, which is pretty cool, because if I had any problems or question I could go to them and speak with them. In the first two days I lived in the hostel and they showed me Wanganui and helped me with everything. And they also did trips with me and a few other students and other stuff. I hope I gave you a bit knowledge of my live here in New Zealand. Hello my name is Lea and I am 14 years old. With the possibility to come to New Zealand, a long dream of me has been fulfilled. Now I live here for 6 months in Wanganui and go to the local high school. In the beginning I had to get used to the prescribed school uniform, which is completely new for me. After a few days I had become accustomed to it and now I am glad that I do not have to worry about what I wear in the morning. I have collected in my 3 months which I am already here very much new experiences and my English has become much more fluent. My host family is totally nice. It was at first unusually for me in a large family with 4 new “siblings” to live but we have great friends. The experience of living in another country and going to school is simply indescribable and I can definitely recommend anyone to do it, because it helps not only for the future (school) career, but also a lot of new friends and family Pleasure. Hello my name is Amabel and I am 16 years old. When my friends Jana, Helen and I made the decision to go to New Zealand for six months and go to school at Wanganui High School, we did not know what to expect. One year we had to get used to the idea and then the day was suddenly there. Everyone was somehow excited and nervous and everything was eerily chaotic. On the flight, of course, we watched as many films as went and paid the price for it – I was so tired as never before in my whole life – and when we finally got off the plane in Wanganui after 38 hours, we were easy Only relieved. In the first two weeks before the school went I went to my guest family and the weather showed itself from its best side. At first it felt as if we were only here for a short holiday, but when the school began and we all stood together in school uniform in front of the Assembly Hall, the excitement was there again. The Maorish Welcome Ceremony (Pōwhiri) was definitely one of the best things I have experienced here and I felt right at school. The school uniform was a bit habituated at the beginning, but now it feels good to wear it and it is funny when you go to school in normal clothes (for example, for a hike or kayak trip). The Wanganui High School organizes many trips for its International Students and I can recommend to everyone the school subject CNZ, even if you do not normally like walking. There is really something for everyone and the Tongariro Crossing must have definitely done. Some activities are quite exhausting, just the Tongariro Crossing, but worth the effort! I’ve been here for over five months now and the return flight is getting closer. I must say it will be very difficult for me to say goodbye to New Zealand. Not only from the school and the breathtaking scenery, but also from my host family and the friends you have met. I would recommend anyone to go to New Zealand and go to school there. Especially the Wanganui High School is a great school, with which one can be sure that the people are concerned about a care. It is an incomparable and unforgettable experience! To all of you who are thinking about going to New Zealand: Don’t make the mistake I nearly did. I was too scared about coming here to New Zealand. Do it! Today I am so glad that I have done it and did stay here for six months. I have been here for half a year and enjoy my High school live. In two and a half weeks I am home again and if I am honest then my feelings about going home are not only positive. I am really looking forward to see my family again and to the German food. When I am coming home I will have a big BBQ. But that are the only two reasons why I want to go back home. Actually I don’t want to go back, not so soon. I fell in love with this country and its people. The school here is awesome. I did never think that I would say that, but I really like going to school here. The subjects are interesting and the teachers are gentle and helpful. As well as the students are. You can choose the subjects you want and there are so many subjects you can choose. One of my favorite events here was the “Cultural Festival”, where every country is cooking specialties from their country and is doing a performance. We had so much fun. There are students from China, Vietnam, Japan, Korea, Thailand, Brazil, Germany and even one boy from Iceland. One of my favorite subjects here is “Outdoor Education”. We learned things about the plants, animals and people that are living in New Zealand and had so many great trips. 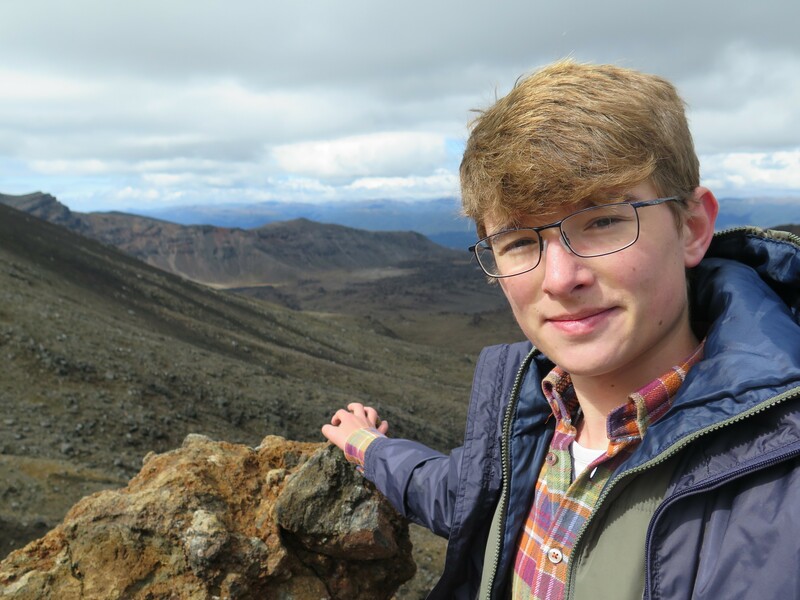 My favorite trip is the “Tongariro Crossing”, where we walked eight hours long through a volcanic active territory and did pass Mt. Doom, the mountain from “Lord of the rings”. After I finish school at home I want to come back to New Zealand and see the South Island and do the “Tongariro Crossing” again. What I will miss as well in Germany are the New Zealand beaches. Here are so many different and beautiful beaches and the sea looks different every time. What all this beaches are sharing is the black sand and that they are amazing. One time I was at the beach at night time. That was so exciting. I could talk about so many things I saw and so many experiences I had done, but then I would never end. But at least I want to thank my host family, who became true friends, my supportive teachers and Matt and Verena, who have been there for us all the time and did help us. This time here I count to the best times I ever had in my live and nobody can take this from me again. 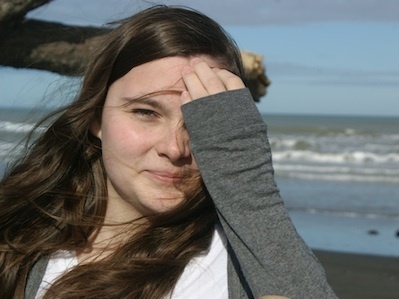 I’m Merle and I’m 15 years old and an international student from Dortmund / Germany in Wanganui for 5 months. In the following, I would like to share my experiences, which I, as a performance sportswoman, have collected at the Wanganui Swim Club. In all, in a normal week (no competitions at the weekend) always 35-40 km. From the start I can say that the training range is not so complex here. The land training falls off completely once in the week 30min “normal” land training completely. What is also a big difference is that I go here twice as often before school as in Germany (4 times instead of 2 times), since here simply the conditions are much better than in Germany. The training begins at 6 am (warm up approx. 5.45, Mondays 5.45 and warm up approx. 5.30) and ends at 7.30 clock. I go to Wanganui High School, where the lessons start at 8:45 am so I have enough time to relax after the workout, to have breakfast in the swimming-pool and to go to school, which is within 3 minutes walking distance. But also for students the other schools attending the earlier start (8 am I think) remains enough time to get ready. In the afternoon, I also go 4 times to the training. Times are easy to connect with school, I can always go home after school and at least eat something. Others also stay simply after school in the swimming pool. The water units are one hour and a half with one exception (Monday morning). So the training range is generally lower (about 30-35 km per week). However, I also go “only” to eight out of nine possible units. Another difference is that (almost) every training is hard, although we have hard days in Germany, but also slack for regeneration, which is missing me here a bit. The other swimmers (I write deliberately swimmers, because at least the senior squad consists almost exclusively of girls (at least those, which are always regularly there)) are all very nice and I have felt very well after a short time. The trainer is also very nice, I started at the beginning all presented and if there were understanding problems gave me a second or third time. Thanks to the good preparation of Verena Nowak, the registration in the club has been very simple and smooth. In other organizational matters such as squad fees or competitions, the club is also very tolerant and accommodating. So all in all, I think that the Wanganui Swim Club well suited for my concerns well. However, I have also thought well before that I screwed my training here a little, in order to gain more experience, and that dadürch my achievements could also be worse. For someone of the same way I would recommend the club absolutely, for all, but it is more important to stay / improve on their level, I would rather recommend a larger city to look for a larger swimming club.